Tommy: "So do I, but for entirely different reasons." 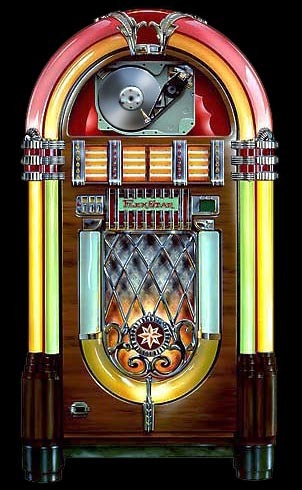 I think Tracy Chapman's "Fast Car" should be added to the Charterstone Jukebox. Buy a big house and live in the suburbs...."
"Probably What Most Of Tommy's Exit Interviews Sounded Like". Interesting ginger ale you’ve got there, kids. They're drinking grape Kool-Aid through bendy straws like six-year-olds. I am going to go out on a limb here and give her father the benefit of the doubt. I think, back in 1999, he had one can of beer (Lite), stubbed his toe and said "@!&^%", took an asprin for the pain and his wife (Brandy's mother) kicked him out for being a drugged up, drunk, foul mouthed loser. It may be cranberry Kool-Aid, Scottie McW. Those ice cubes are oddly shaped, and are those straws PLASTIC? Yesterday’s strip showed no patrons nearby, so I presume that Brandy’s oversharing made everyone flee. Maybe the burly server did as well. Ha ha Nance, another on-target zinger. Tommy’s exit interview at Jerry’s Sandwich Shop included a mention of the mess in the bathroom, too. On a non-Beedie topic, the Nordstrom anniversary sale catalog features a VINCE “Alora” sandal (open-toe mule in black leather with a very chunky, very high heel). I guess Mr. Alora is supplementing his soul-killing Charterstone job with a more fulfilling design gig. So we can go away until Labor Day, when Brandy will get clued in by an ex-con coming into the store & greeting Tommy, yes? Nice work, Nance! And you too, mr_darcy! So was there a law passed in Santa Royale that all restaurants had to place paper napkin dispensers on all their tables? The ice cubes look like fortune cookies. And serving up the rose with twisty straws. Nice touch. Why is the ginger ale purple? Schweppes & Canada Dry both make pink ginger ale. Nance, your title hit it out of the ballpark once again. KitKat, you beat me to the punch! I was going to mention the mess someone (*ahem* Wilbur) left in the bathroom. I had the same question about the ginger ale. My other question is why are those glasses so huge and did they order food. Maybe this place just has "great beers" and pink ginger ale. @Downpuppy, I think it'll be more like Tommy's parole officer looking for him. He'll see Tommy and say "How come I didn't see you down at the parole office last week? You know you hafta report or it's back to the slammer, pal." Now that Brandy has overshared, it's Tommy's turn. Tommy will tell his pitiful story, while looking at his pink ginger ale and stirring his straw. When he looks up, Brandy will have made like a ghost and disappeared. If Tommy really wanted to change the subject, he could declare that he will never again use straws to drink since they ruin the environment.